This is a special pipe to me. It was the 50th pipe that I've made! 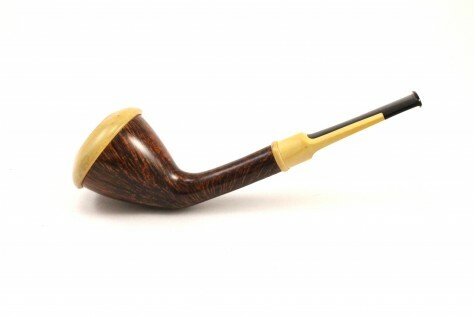 It has a Boxwood dome top, boxwood ring, and the stem is boxwood and ebonite. Its a very light pipe weighing in at only 1 ounce!